30.3.2016: Wipro announced that they appointed Patrick Dupuis as board member. He will join Wipro as independent director on 1st of April. He has more than thirty years of experience and is currently serving PayPal Holdings as vice president. 30.3.2016: Nestle announced the appointment of Rakesh Mohan as the independent non executive director. He will take charge on first of this May. Rakesh Mohan is the former RBI deputy governor. 30.3.2016: The appointment of Mrugank Paranjape as the managing director and chief executive officer of Multi commodity exchange of India is approved by SEBI. He will continue in this post for a period of three years. SEBI also approved the extensions of terms of Dinesh Kumar, G Anantharaman and Satyananda Mishra. 30.3.2016: South Indian playback singer P Susheela entered the Guinness World Records and Asia Book of Records for singing most number of songs. P Susheela sang more than seventeen thousand solos, duet and other songs in twelve languages. Susheela sang nearly 17,330 songs in all the languages. 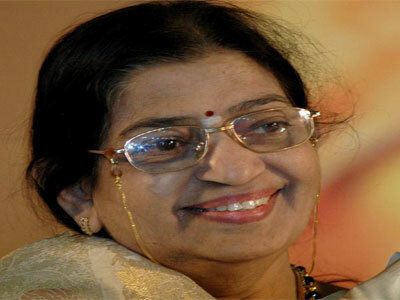 P Susheela’s singing career spanned nearly fifty years. She won many awards in her career. Susheela also holds the record of singing more than ten thousand songs in Tamil. Asia Book of Records recognized the singer for singing most number of songs in Indian languages. 30.3.2016: Project Salamati is launched by chief minister of Haryana Manohar Lal Khattar. Haryana is the first state of launch government initiative in which injectable contraceptives are launched. The injectable contraceptives can be used to maintain healthy balance between births of children. These will be provided free in primary health centers, sub divisional and district hospitals. These can be getting in the community health centers also. This project is implemented by Haryana Health Department with assistance of Bill and Melinda Gates foundation and Pathfinder International. The project was launched in Chandigarh by the chief minister of Haryana. This entry was posted in Current Affairs, News on March 31, 2016 by Rakesh.